How does one measure the influence that history has on contemporary affairs and issues? Is it possible to fashion some kind of litmus test, through which we can assess the impact that perceptions of the past have had on the conceptualisation of national and transnational policies? It is questions like these that the AHRC research project ‘The Weight of the Past in Franco-British Relations’ will explore over the next three years. Led by Professor Peter Jackson (University of Glasgow) alongside co-investigators Dr Rachel Utley (University of Leeds) and Dr Rogelia Pastor-Castro (Strathclyde University) and post-doctoral research assistant Dr Rachel Chin (University of Glasgow), this project will assess the role that representations of the past have played in Franco-British relations since 1815. More specifically, it will seek to understand how history, or at least subjective constructions of history, has shaped policy debates in general and prospects for Franco-British co-operation in particular. The chief aims of this project are articulated through one central and three subsidiary research questions. Namely: What role have representations of the past played in the evolution of Franco-British relations since 1815? How have British and French policy elites (political leaders and responsible permanent officials used history to understand the present and anticipate the future? To what extent have subjective interpretations of the past shaped the conceptual horizons of French and British policy-makers? What impact have these dynamics had on political, diplomatic and military co-operation between the two states over the past two centuries? Our project is grounded in two key observations. First, since 1815 Britain and France have been at peace. Second, the idea of a natural, indeed, inevitable rivalry, has often dominated conceptions of Franco-British relations despite these two centuries of peace. Assumptions of ‘natural rivalry’, moreover, are not only the product of casual cultural stereotyping. Contemporary public debates, most notably surrounding Britain’s EU referendum, featured ‘lessons of history’ from both the ‘leave’ and ‘remain’ camps. 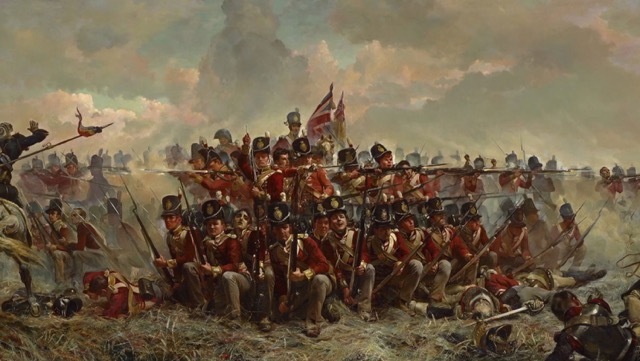 Although Britain and France have not been at war with each other since 1815, tensions have certainly been evident in imperial and continental settings. In both historical and contemporaneous representations, events such as Fashoda (1898), Dunkirk and Mers-el-Kébir (1940) have tended to overshadow a surprisingly successful record of political and military cooperation that included joint operations in Crimea (1850s), the creation of the Supreme War Council and the evolution of unified command during the First World War and the liberation of France in 1944. Keeping this in mind, our project will provide a systematic reassessment of the role of historical understandings in shaping wider Franco-British relations and in influencing the context in which Franco-British policies are made. The project’s research questions will require the investigators to engage dynamically with research and methodologies employed across the fields of international history, international relations (IR) theory and memory studies. On the one hand, the project will be grounded in detailed archival research conducted within French and British archives. By examining the archival record generated by the policy-making process, investigators will aim to understand how historical representations shaped the very context in which policy was created. In line with its overarching aim to better understand the highly subjective side of Franco-British policy, the project also engages with core debates within the cognate field of IR theory. Constructivists such as Alexander Wendt (1999) argue that the role of subjective beliefs, identities and norms are fundamental to the course of international politics. They reject the realist and neorealist argument that the distribution of power under conditions of anarchy provides the underpinning logics of international relations. (Morgenthau, 1948 and Waltz, 1959, 1972 respectively). The constructivist argument that policies are shaped and influenced by social and cultural forces rather than determined by “systemic forces and relative material power,” resonates with the core aims of this project. Specifically, our project will assess the power of constructivist debates by exploring how representations of the past play a role in the subjective lenses through which policy elites view the policy-making landscape. What makes this project even more exciting is not just its academic rigour but also its wider engagement with contemporary policy makers and policy institutions on both sides of the Channel. Its collaborative approach brings together partners that include the Royal United Services Institute (RUSI), the Franco British Council, the UK Ministry of Defence, the UK Foreign and Commonwealth Office and the French Defence Ministry. Alongside these institutions is an Advisory Group whose members are Sir David Omand (vice-president, RUSI; former UK Security and Intelligence Co-ordinator), Stephen Willmer (International Policy (France) team leader at the British MoD) and Lord Peter Ricketts (former UK Ambassador to France, 2012-2016 and UK National Security Advisor). Academic Advisory Group members include Professor David Brown (Southampton), Dr Patrick Finney (Aberystwyth), Professor Laurence Badel (Univ. de Paris I) and Dr Juliette Desplat (National Archives). Collectively, they will provide guidance and support to researchers, ensuring that practitioner expertise informs every level of the project. These relationships will form the basis of a series of events in France and Britain including a Witness Seminar, a Policy Engagement Colloquium and a final project conference in Oxford in 2020. Public engagement, carried out in collaboration with The National Archives as well as through media outlets such as The Conversation and History and Policy will allow us to disseminate our research findings on as broad a platform as possible. This project thus brings to the fore a topic that can be found swirling in the undercurrents of debates and observations from internal policy debates to press analyses. Namely, that ‘lessons of history’ have and continue to play a central role in policy-making debates and discourse concerning Franco-British relations. Journalist and novelist Joseph Roth lamented in a 1926 Frankfurter Zeitung article, “People feel historically, i.e. retrospectively … People get in the way of progress. They hang sentimental weights on the winged feet of time.” Over the next three years our research will get to grips with just how much the past has weighed on military and political relations between these two long-standing European Great Powers. Valerie M. Hudson, Foreign Policy Analysis: Classic and Contemporary Theory (Lanham, MD: Rowman & Littlefield, 2007), 11. Paul Ricoeur, La mémoire, l’histoire, l’oubli (Paris: Seuil, 2003), 289-98. Jan Assmann, “Collective Memory and Cultural Identity,” New German Critique 65, Spring/Summer (1995): 126. Further details on project partnerships and descriptions of planned events can be found on UK Research and Innovation: https://gtr.ukri.org/projects?ref=AH%2FR00515X%2F1. Joseph Roth, The Hotel Years: Wanderings in Europe Between the Wars (London: Granta, 2016), 27.